This page is part of NASA's website "From Stargazers to Starships". It discusses the evolution of scientific thought concerning the nature of the solar system, beginning with the earth-centered solar system advocated by Hipparchus and Ptolemy. 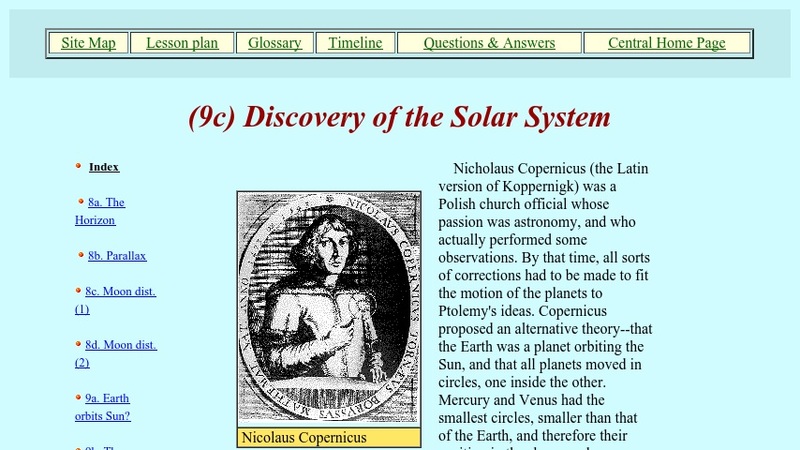 Ptolemy's idea that the sun and planets moved around the Earth persisted for nearly a thousand years until Copernicus and Galileo, using his newly-invented telescope, began to understand that the Earth and its companion planets all orbited in around the sun. The site features text, pictures, a scientific illustration showing retrograde motion, and links to other relevant sites.